As soon as the light dinged off, the skeletal, aging stewardess wheeled up the aisle and eventually handed Aidan a bag of pretzels and a printed napkin, and another set for Cole. “Peanuts? Can he get peanuts instead of pretzels?” Cole said again, trying to hand back his cellophane bag of pretzels. He didn’t know what to say to that. It seemed ridiculous that one person’s issue could change tradition or custom. Getting through security was the same way. Some dipshit put a bomb in his shoe and now they all had to get scanned with full body X-rays. 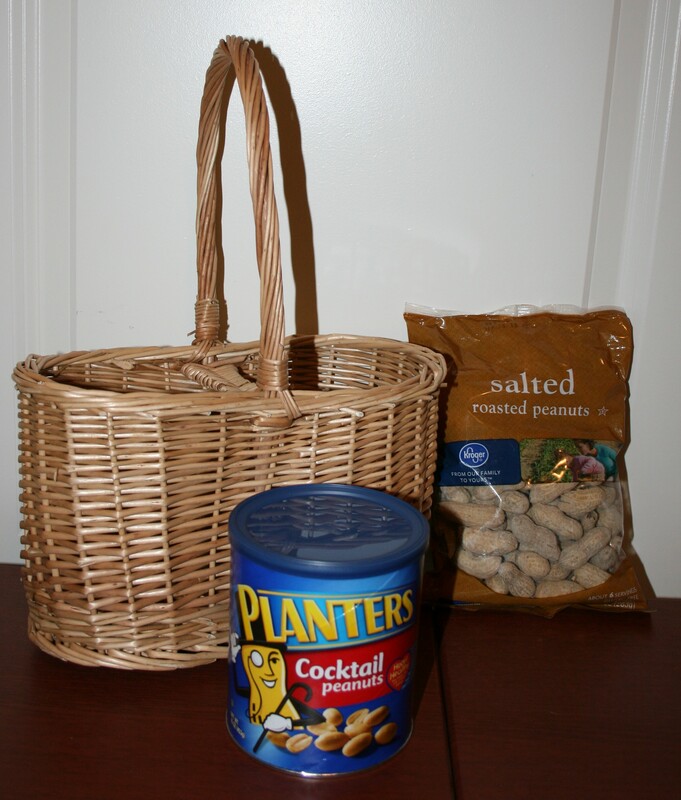 Someone couldn’t have peanuts, so none of them could? 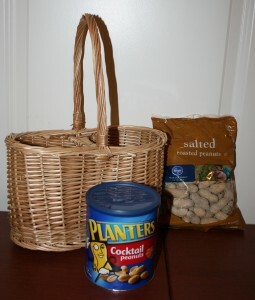 This week’s giveaway is a peanut lover’s dream: a peanut basket (nuts on one side, shells on the other), burnt peanuts candy, peanuts in shell, and a signed copy of Moving Violations. This might be my favorite story from the collection and my most recent. Cole’s complete inability to see why someone else’s issue should affect him was his defining characteristic. I think it is in our human nature to assume everyone experiences life the same way we do. And I think there is nothing that could be further from the truth. When I first set out to write this story, I wanted to write about a man who was not fine but always answered “Fine.” I was pleased with where this story ended up. In order to win, I’m asking you to share this contest on Facebook. Or as always, you may complete any of the previous week tasks (Tweeting, becoming a fan on GoodReads, liking my author page on Amazon, etc.) to enter. You must leave a comment on my blog or Like this Facebook post to be entered. The winner will be announced at 9 am on July 19, 2013. Thanks for playing!